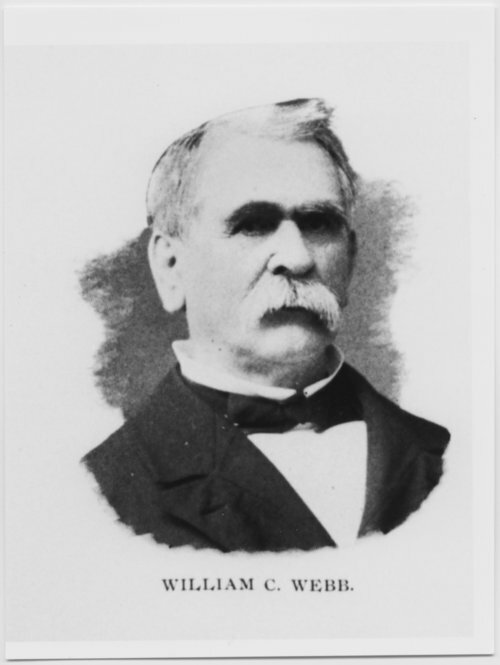 This black and white photograph, taken from the photograph panel of the Topeka Bar Association, shows William Craw Webb (1824-1898). Webb served as a county attorney, a judge to the eleventh judicial district, and a judge to the superior court of Shawnee County. His career as a public servant included a tenure as Kansas' Superintendent of Insurance and clerk of the Kansas Supreme Court (1871-1878). Webb was also active in politics and served as a member of the Kansas House of Representatives in 1870 and 1871. In 1890, he was elected as a Republican from the forty-first district of Shawnee County to serve in the Kansas House of Representatives.